I was very much interested in the cause of Sister Miriam Teresa back in the late 1960s and early 70s. My aunt, Sister Mary Susan Boyle, was stationed at the Sister Miriam Theresa League House in Convent Station, New Jersey. She worked closely with Sister Zita who was in charge of the League. Sister Mary Susan gave the religious at Saint Benedict Center copies of Sister Miriam Theresa’s spiritual masterpiece Greater Perfection. She also donated several hard-back volumes of meditations to be used in the liturgical seasons. Over the years, I have lost my set. If I remember correctly, these meditations employed material from the writings of the Venerable Sister. 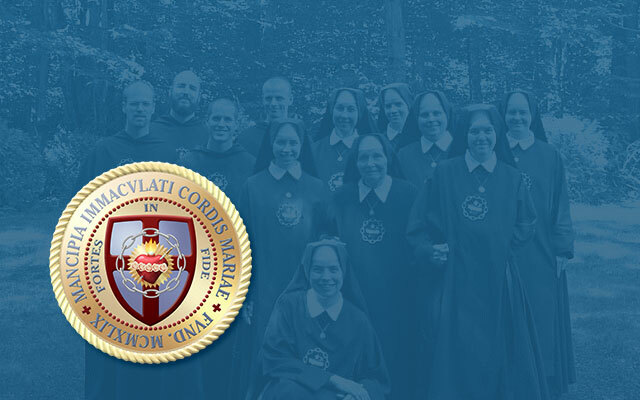 One of the young women who came to Mass and lectures at Saint Benedict Center in Still River, Massachusetts in the 1970s, was so impressed with Greater Perfection that, upon entering the order of the Slaves of the Immaculate Heart of Mary, she asked for and received the name, Sister Miriam Theresa. The heart of Venerable Miriam Theresa’s spiritual writings centered upon the indwelling of the Blessed Trinity in the soul of the just. “If any one love me, he will keep my word, and my Father will love him, and we will come to him, and will make our abode with him” (John 14:23). As I heard the story so many times when visiting my aunt at League House the Sisters of Charity did not know Sister Miriam Theresa was writing down her spiritual experiences under obedience to her confessor. This confessor would use these meditations in giving the sisters spiritual conferences. After Sister Miriam Theresa died, at the age of twenty six, in 1927, the good Father (I forgotten his name) informed the astonished sisters that the material for his talks was taken from the meditations of one of their own. Well, they thought to themselves, perhaps these lights came from Sister Clare or Sister Margarette (fictional) who were brilliant teachers at Saint Elizabeth’s school. What was their surprise when their retreat master told them the insights came from the quiet young sister, yet a novice in fact, Miriam Theresa. Read more about the latest American Venerable here. You can order a copy of Sister’s biography and her work Greater Perfection here. Catholic Culture: Bishop Alexander Sample of Marquette said that he is “thrilled beyond words” that Pope Benedict has approved the decree of heroic virtue of his predecessor, the Slovenian-born Bishop Frederic Baraga (1797-1868). More on this here. You may want to read a biography I wrote here about this indomitable bishop for our website in 2009.